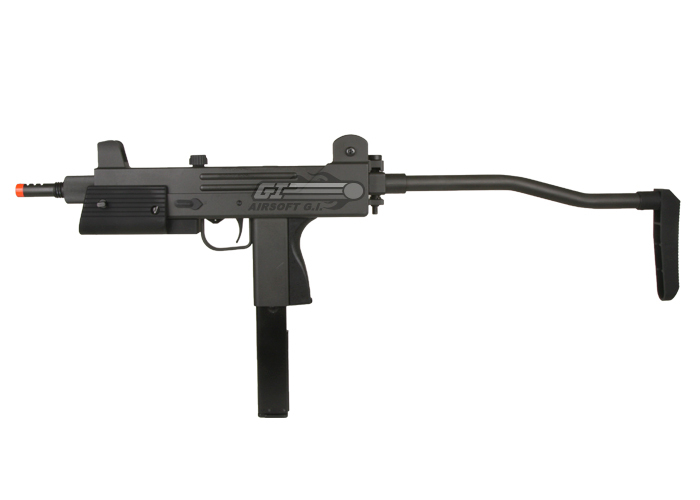 The HFC T77 is an awesome gas blowback SMG. It will handle both green gas and 134A very well. 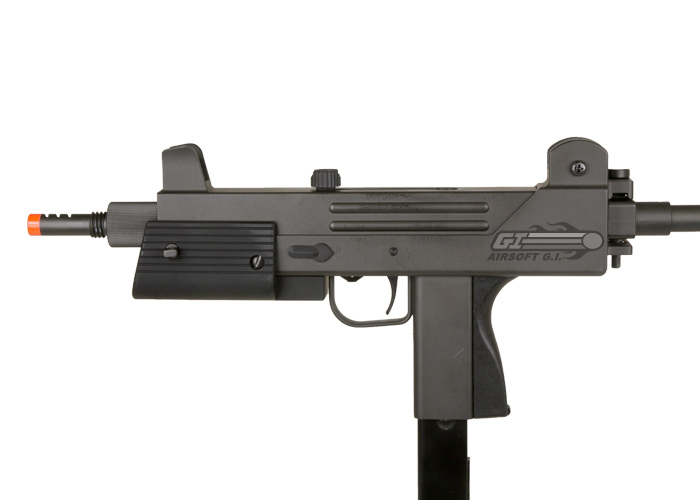 The rate of fire on this airsoft guns so high it will empty the 50 round magazine in about 3 seconds, and the gas system is fairly efficient that you can fire 1.5 magazines before needing a gas refill. It can either shoot on semi or full auto. 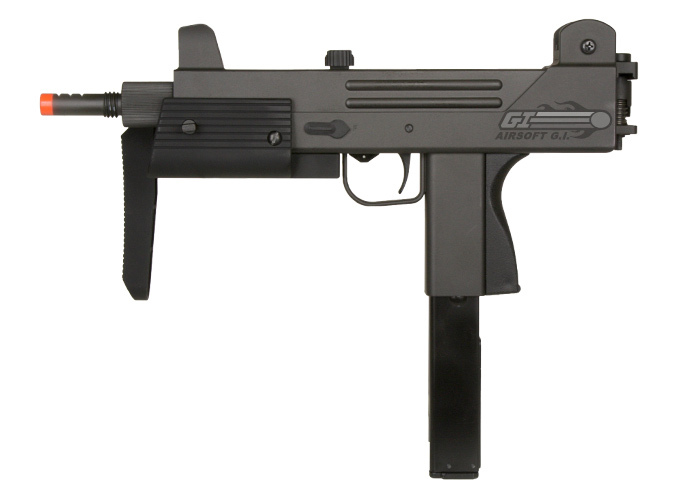 Additional features include a side folding metal stock and hard carrying case. 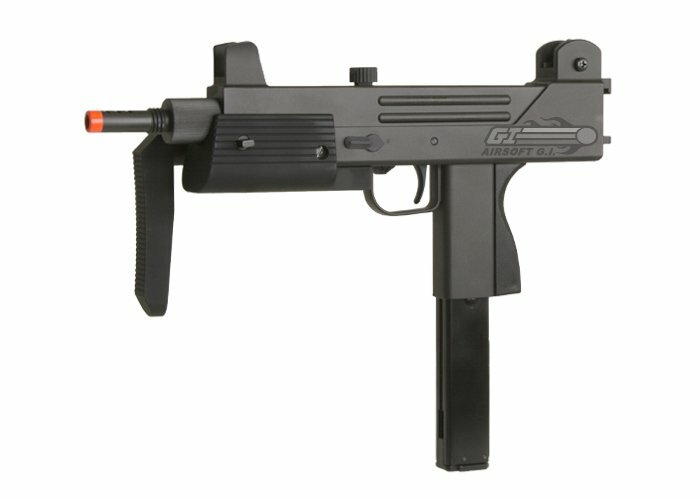 This is a great back up gun or CQB primary if you prefer not to have a full size AEG. I've owned this gun for a little more than a year now, and overall I'd have to say that i'm pretty satisfied. The noticeable cons are that there's quite a bit of magazine wobble with the stock magazine (Nothing a little duct tape can't handle), and when the stock is in folded position (As in the picture above), there's wobble as well. Also, this gun is a bit of a gas guzzler, but the fact that it is propane compatible makes up for it. As long as you buy a twenty dollar propane adapter, its not an issue. Aside from these cons, the gun is rock solid. I have absolutely no worry about it breaking in any way. It's very powerful which allows you to use .25's to increase the accuracy. The rof is also insane, it empties the mag in about 3 seconds, so unless you keep it on semi or have extra mags, it probably not good as a primary. I also like the realistic feel this gun provides; being gas powered. On full-auto, theres actually a lot of kick back and you need to focus on keeping still. Keep in mind though, that with gas powered guns you can't expect the same consistency as with AEG's and that there's a lack of power in colder areas. All in all, this gun has been a good secondary for me. The power, accuracy, and rof definitely outway any of the cons I can find. well what can i say it is well worth the money if you want a amazing side arm or a decent primary. the guy that posted under me was very accurate on his reveiw, the stock has a little wobble when the stock is closed up but i didnt have any other wobbles other than that. i receive about 2 and a half mags with one gas incertion which is pretty good considering what kind of gun this is. i have had the gun maybe 5 months and nothing has broke on it. very solid gun it has all metal but the foregrip amd stock, but the stock is built very well including the foregrip. the bolt on top is magnesium i beileve or a very strong plastic and has held up very well. it has flip up sights for long and short range also. in the end i love the gun and would not hesitate on buying another. if you want this as a primary buy more mags as you can be very wasteful with it on ammo. This weapon is a ton of fun when it works. Unfortunately, I have never had this last a whole game without a serious malfunction that required extensive time and effort to repair. It's prone to failures in the recoil spring, which will compress to the point that it doesn't have the power to close the bolt. It's also prone to leaking, jamming because of its extreme rate of fire, and "running away", firing the entire mag in one trigger pull even after the trigger is released. Mags are expensive, the stock is very wobbly when folded, it's threaded for a suppressor but the barrel is too long for the appropriate suppressor to fit without cutting off a half inch of the barrel. On those rare occasions when it does work, it is fantastic and very cool. The problem is that it rarely works long enough to be worth the money. I wouldn't advise it. 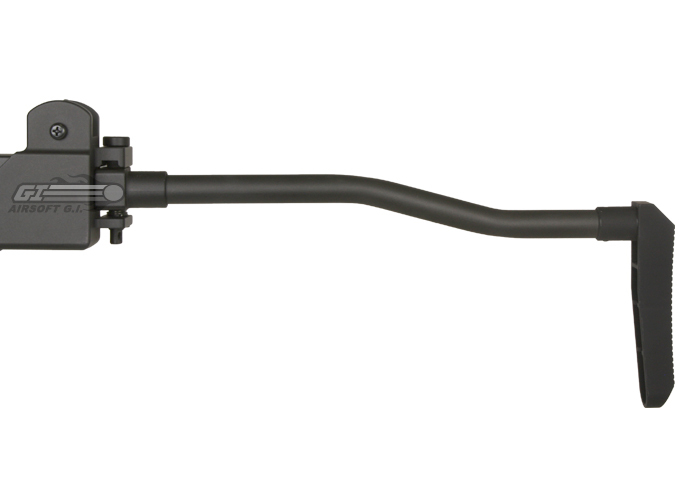 Stock can be removed to create a sturdy improvised sling mount that makes it an excellent PDW. Doesn't work often enough to be worth the money. 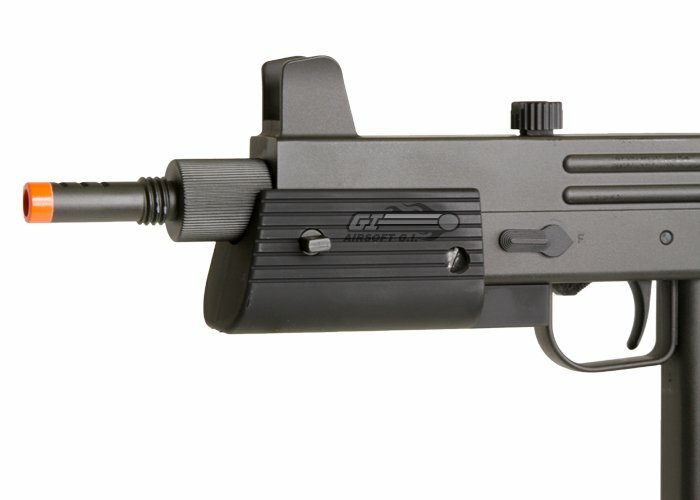 What kind of magazines can you run with this gun? ?